Faro10, a mental health app and analytics company, is hosting an event on January 24th for parents to learn more about how they can recognize the signs of mental distress in their teen and seek help for them. RESEARCH TRIANGLE PARK, N.C. - Jan. 13, 2018 - PRLog -- On January 24th, Faro10 will host a meeting for parents of teens, to talk frankly about how to spot mental distress in their teen and give them tools to use to help them. Teen mental health is worsening and many do not have access to the proper mental health care. In the past five years, over 1.7 million youth who had a major depressive episode did not receive the treatment they needed (according to Mental Health America). 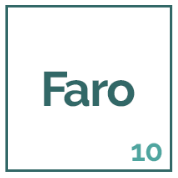 Parents can play a larger role in their teens' lives by knowing what symptoms to look for and by tracking them using the free Faro10 app. Sharing this data with a licensed therapist can help your teen emerge from mental distress into mental health. Join us as we hear from mental health professional, Sharon Wilkening, LPC, LMHC, as she tells us what to look for in our teen if we are worried about their mental health, and how to seek help. This is event will be held at the Frontier in RTP at 800 Park Offices Dr in the large classroom space on the first floor. This event is co-sponsored by Fortis Wealth Management. Team Members from Faro10 will also be on hand to answer your questions about how you can use the free Faro10 app to track your teen's symptoms and confidentially share them with a clinician.